In Boulogne-Billancourt, a western suburb of Paris, an island in the Seine is being developed into an “artistic micro-city” designed by Jean Nouvel. The project for Île Seguin will create artists’ studios, commercial gallery and auction spaces, an exhibition hall, and a conference center to transform the island into a modern cultural hub. Île Seguin has a long and varied history. It was owned by the Abbey of St. Victor from the mid-12th century, and a bridge across the island linked the primary route between Paris and Versailles in the 17th century when it was known as the Île de Sève. Louix XV acquired it in the 18th century, and it fell under state ownership after the revolution. The island was acquired by Armand Seguin, the eponymous industrialist, in 1794, and by Louis Renault in 1919. 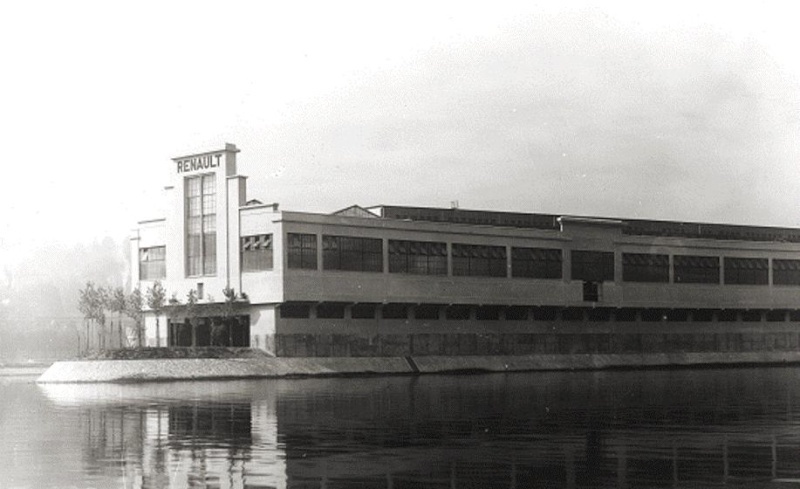 Renault built France’s largest factory there, employing more than 30,000 people, and Île Seguin produced cars until the great but antiquated factory closed in 1992. The buildings were razed by 2005, and the island in the Seine became an industrial wasteland. In 2001, Tadao Ando was selected to design a museum for the Francois Pinault Foundation on Île Seguin. The project was abandoned, and Ando renovated the Punta della Dogana in Venice for the Pinault collection. 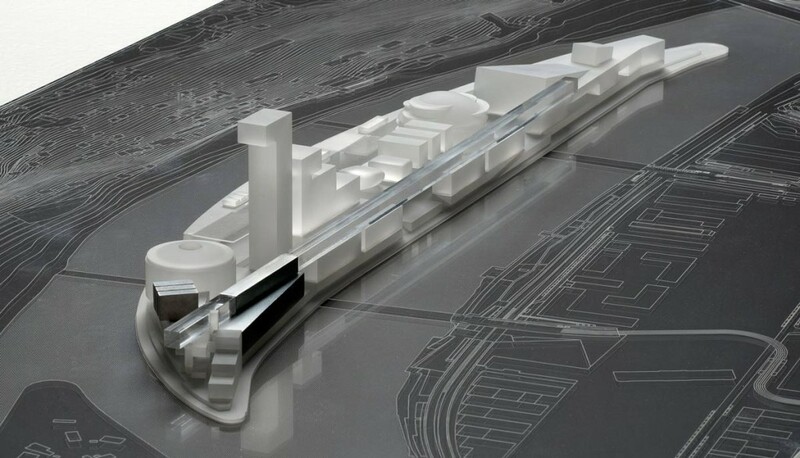 In 2011, the municipality of Boulogne-Billancourt launched a private cultural project with the Société Civile Immobilière R4 (SCI R4) to construct an artistic micro-city on Île Seguin as part of a larger urban development project, Trapèze. The Trapèze project, which extends onto the right bank of the Seine at Boulogne-Billancourt, aims to create an entire urban zone of mixed-use development centered on the cultural environment on Île Seguin. Jean Nouvel – the French architect whose projects include the Institut du Monde Arabe and Musée du quai Branly in Paris, and the forthcoming Louvre Abu Dhabi and National Museum of Qatar – was selected as the R4 project’s designer. 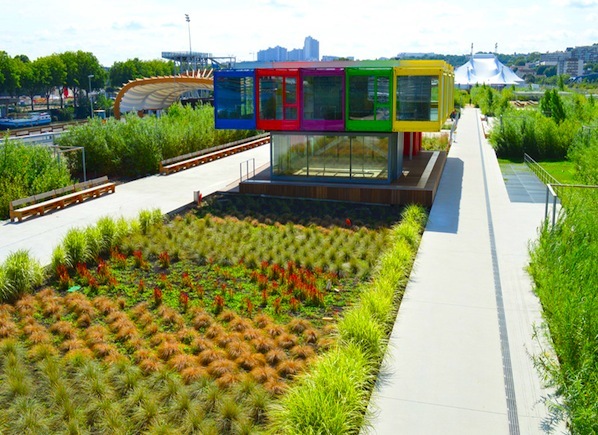 Also in 2011, the Fondation Cartier, the Paris-based contemporary art foundation, commissioned designs from Jean Nouvel for a new base on Île Seguin. In 2014, the Fondation announced that it would instead expand its current facilities on Boulevard Raspail, which Nouvel designed in 1994. 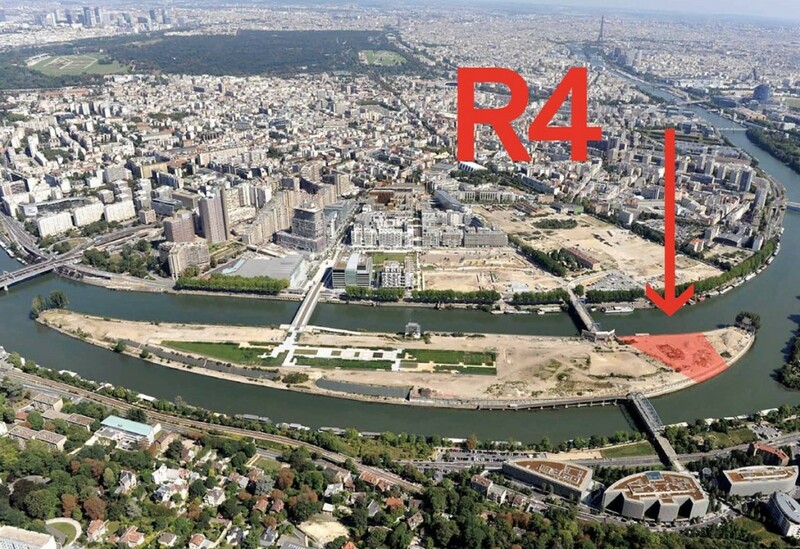 Notwithstanding the loss of the Fondation Cartier as an anchor institution, the R4 development will share Île Seguin with the Cité Musicale, a 36,000 square meter concert hall that will include facilities for the Ballet de l’Opéra de Paris. The hall was designed by Shigeru Ban – the Japanese architect whose projects include the Centre Pompidou-Metz and the very recently opened Aspen Art Museum. The Cité Musicale is backed by a partnership with the Hauts-de-Seine Conseil Général and is expected to open in 2016, with construction having already begun. R4 is expected to open in late 2017 with more than 30,000 square meters of space to support a visual arts community. There will be dozens of artists’ studios and workshops, twenty commercial galleries, a multi-purpose exhibition hall, a conference center, auction salesrooms, and other spaces to create the infrastructure of an international cultural hub on Île Seguin. Further, R4 aims to develop teaching programs in partnership with universities, and the larger Trapèze development may include office towers, a hotel, and a center for cinema and digital arts. In advance of construction, Boulogne-Billancourt and R4 have begun a program of cultural events to activate Île Seguin, attracting 500,000 visitors in three years. A temporary Pavillon sur l’île Seguin hosts exhibitions about the island’s evolution and a public garden was designed on the old Renault factory outlines. In 2012, Île Seguin was the site of an exhibition for FIAC, the Paris-based modern and contemporary art fair. The island has also hosted Cirque en Chantier and Cirque du Soleil, a performance by Bjork, and a video art festival. While not publicly reported, the investment in R4 is estimated to be above €100 million. The project’s founder is the Swiss investor Yves Bouvier, whose company, Natural Le Coultre, specializes in the logistics and transport of art. He is also the founder and president of Singapore Freeport, a company that set up and manages the first Freeport in Asia, and a majority shareholder in freeports in Hong Kong and Luxembourg. The President of SCI R4, Nelly Wenger, is a civil engineer whose own company provides strategic management for urban and cultural development projects.